The largest and most important fair for modern and contemporary art. Every year in June, art collectors and lovers meet here from all over the world. Nearly 300 selected galleries make the fair the most important temporary museum. A city goes wild. The “drey scheenste Dääg” (three most beautiful days) are the undisputed highlight of the year for many Basel residents. In hardly any other city do 15th century buildings complement internationally renowned modern architecture. Narrow alleyways and hidden squares with over 180 fountains... simply beautiful! The perfect place to relax and discover over 600 different species. The enclosures – most of the adapt on the newest standard – allow observing and learning about the animals. The Omega European Masters is the Swiss stop on professional men's golf's European Tour held at Crans-Montana in Valais since 1939. A spectacular mountain-golf scenery. Second largest annual music festival in the world after Canada's Montreal International Jazz Festival. Large-scale international athletics events, it is sometimes referred to as the one day Olympics. Part of the IAAF Diamond League. Around 30 Love Mobiles brightly decorated trucks carrying vast music systems, DJs and party people – drive at walking pace through the crowds around the lakeside in Zurich. The most colourful techno parade in the world fascinates hundreds of thousands of dance fans. Exclusive shopping street heading to Paradeplatz the Swiss finance center. Largest cultural-historical collection of objects in the country. International guests, jockeys & horses on the frozen Lake of St. Moritz: Spectacular horse races and a magnificent scenery on the Engadine mountains! 8000 international guests meet under the stars of Piazza Grande, in front a brilliant screen (26mx14m). Wide range of movies from famous movie-makers to the young and promising ones. Bellinzona is famous for its carnival Rabadan (noise). For a few days, more than 150’000 people joyfully celebrate in the streets. The second-largest of the four major office sites of the United Nations (NY biggest). Chillon Castle is the most visited historical monument in Switzerland. Its location between the mountains and the lake is absolutely magical! Nature reserve covers more than 120 hectares. The peat bog or upland moor extends over 56 hectares and has a nine-metre layer of peat accumulated over 12,000 years. Classified as a marshland of national importance. Magnificent gothic cathedral of St-Nicholas. 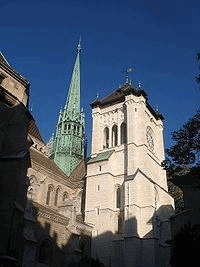 In 1924 it was designated the cathedral of the Lausanne-Geneva-Fribourg Catholic diocese. The cathedral boasts many artistic treasures! Top of Europe, at 3454 metres Europe’s highest altitude railway station, is the highlight of every visit to Switzerland. 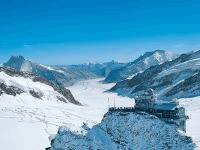 It offers visitors a high-Alpine wonderworld of ice, snow and rock, which can be marvelled at from vantage terraces, the Aletsch Glacier or in the Ice Palace. The Trift bridge, with a span of 170m, is the longest swing bridge in the Alps. It takes a bit of courage, but the view from the bridge across the lake and up to the glacier makes it worthwhile. 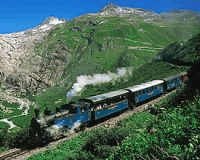 A great adventure is a trip on the steam trains in the high alpine region of the Rhone Glacier. Ride in historical trains and marvel at the alpine landscape and the restored steam technology of the last century. Zermatt, the village at the foot of the Matterhorn, the most photographed mountain in the world. 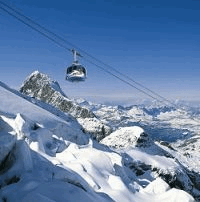 The hotels and restaurants are world-class, and the ski area is not only the highest in the Alps – it is also one of the best developed and most convenient 365 days a year. The capital of Switzerland. 6 km of limestone buildings and medieval arcades, its Renaissance fountains and its beautiful cathedral surrounded by picturesque rooftops, truly a gem of medieval architecture in Europe. Seat of the Swiss government and the parliament. The palace features numerous symbolic renderings of Swiss history. 38 artists from throughout Switzerland are responsible for the building's decorations. Zentrum Paul Klee (designed by Renzo Piano) has been presenting to the public the world's most important collection of works by Paul Klee (1879-1940). 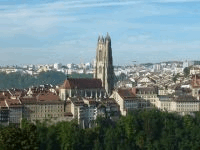 Chaux-de-fonds, UNESCO world heritage Watchmaker houses and Le Corbusier architecture to discover along the streets. St. Peter's Island, kingdom of Jean-Jacques Rousseau An island of peacefulness in the middle of the lack of Bienne. The jura horse; Franche-montagne. Beautiful horse-riding tour with rustic horses in a preserved natural landscape. Built after plans by the Ticinese architect Mario Botta, houses the greatest collection of works by Jean Tinguely (1925 – 1991), one of the most innovative and important Swiss artists of the 20th century. 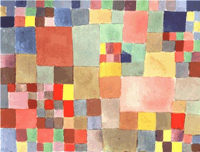 In Basel you will find art in numerous museums. There are nearly 40 museums from Historical to Contemporary with world renowned exhibitions. 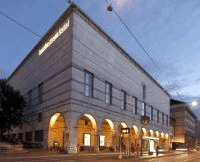 The Kunstmuseum Basel is regarded as one of the oldest publicly accessible art collections in the world. Up at the peak there’s only one season. And that’s winter. Of all the highlights in Central Switzerland, TITLIS is the big one – and the only glacier in the entire region that is actually accessible. Breathtaking panorama guaranteed to take you higher! Most popular museum in Switzerland. 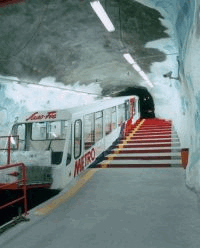 Here you can explore distant galaxies, a pristine wilderness or the history of mobility. More than 3000 objects spread over 20,000 m² of exhibition space testify to a moving history in the truest meaning of the word. Have fun on your voyage of discovery! A panoramic oasis of peace above Lugano with a restaurant and a panoramic terrace to admire Mt. Rosa, the Bernise and Valais Alps, as well as the entire region. 1097 m from the shore of the lake and part of UNESCO's World Heritage. 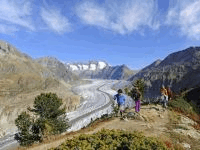 Known for its geological treasures (fossils) conserved within the rocksites. 3800 animals out of 360 species. Specialities: apes, elephants, lions, tigers, bears, penguins and large rainforest exhibit. Switzerlands biggest Zoo easily accessible by tram from Zürich main city. Technorama Swiss Science Center. 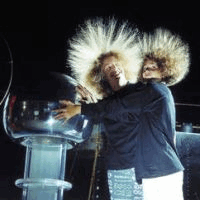 The interactive exhibits at Technorama invite you to touch, to try, to play and to understand - a true feast for all your senses. Yodelling, cow bells, dulcimers and alphorns: Toggenburg is unique heartland for sounds and melodies incl. the Sound Trail walk (Klangweg). Largest Falls in Europe, offer the visitor a spectacular sight! A boat ride to the famous rock in the middle of the Falls and the short walk to the top, is an unforgettable experience for every visitor. Schaffhausen’s landmark, has proudly been overlooking the town for over 400 years. The town's landmark attracts both tourists and locals and hosts open-air movies, children's festivals, dance events and a wide range of other events. Extending over 170 km2, the Swiss National Park is the largest protected area in Switzerland and the country's only National Park.